I am hosting a Maldives trip with The Perfect Wave for fans in 2 weeks and there’s a few spots left!. All of The Perfect Wave’s popular Signature Series trips are rapidly approaching and a few spots have become available on my personal trip due to a late cancellation. The trips include coaching, yoga, beers, stories and laughs aplenty with several legends including Occy, Barton Lynch, Pam Burridge and myself. The trip I am hosting will be ideal for anyone with a thirst for some surf history. Older guys, gals, families or singles will love it. 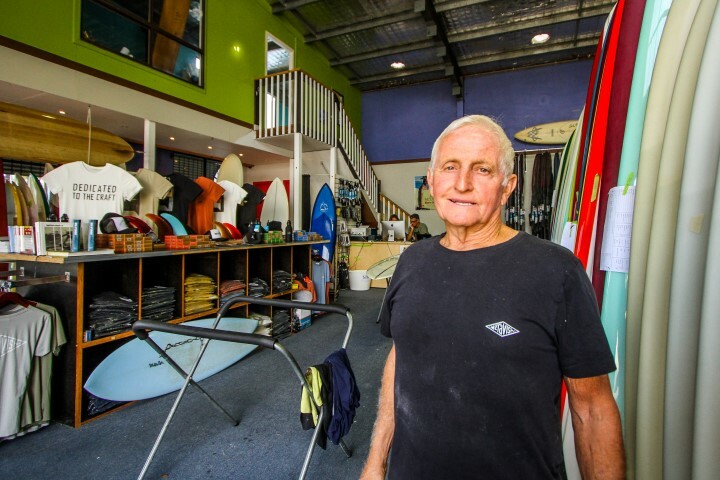 “I’ve surfed Hawaii and Cali heaps in the sixties. Tahiti, Japan, NZ, Taiwan, Philippines, Spain, France, England and most of the Australian coast. I have never seen waves nearly as good as my last trip to the Maldives with The Perfect Wave! Yep, ruler edge perfection, a couple of guys from our boat the only ones out, at a place we dubbed “Rita’s” after a beginner on our boat. The famous Maldivian water was so clear that as each set approached, the coral scrolled up the face as clear high-def. The wave had already peeled 200 meters down the point, but this end section was so friendly, so welcoming. Drop in, top turn for speed, accelerate down the reef at maximum speed, and the bowl threw out a perfect thin lip you could reach out and trail your fingers in it. The coral below was perfect, not very scary, and then you were spat out into a sand bottom channel in kerosene-coloured water. Hair dry. Paddle back up the point. Plunge in to cool off a bit, as the next set came wheeling down the point. My next trip is rapidly approaching this May 6 to 14. Our whip-smart guide Brian is actually picking us up and taking us down to the Central Atolls aboard the Carpe Vita, our trusty motoring palace for eight days. New spots, reliable old ones and Brian’s secret last surf before we fly out, not to mention endless fun stories, laughs, heaps of great Sri Lankan and eastern grub and cold beer on tap. The best non-threatening surf trip on the planet! 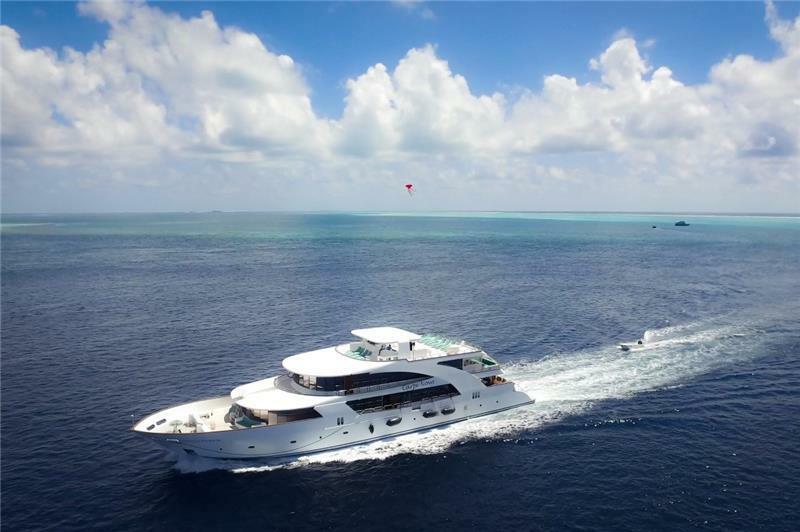 We have 4 spots aboard the luxurious Carpe Vita left due to a group of buddies having to pull out last minute, so act super fast by clicking here to book your spot onboard. Alternately If you want to join Pam and Mark Rabbidge’s trip enquire here. The one and only Occy’s trip still has vacancies, or the WSL master commentator BL’s trip leaves next week too.